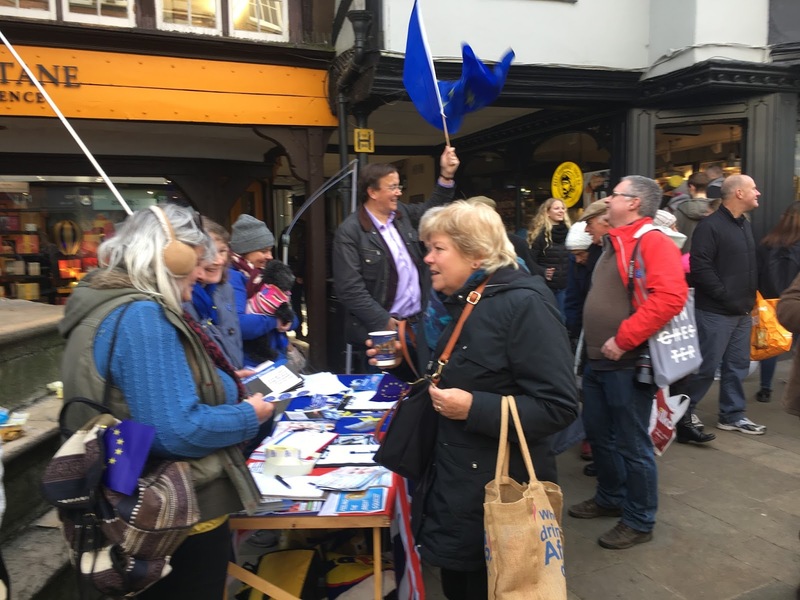 Win-IN: Our busiest Action Day yet! Our busiest Action Day yet! 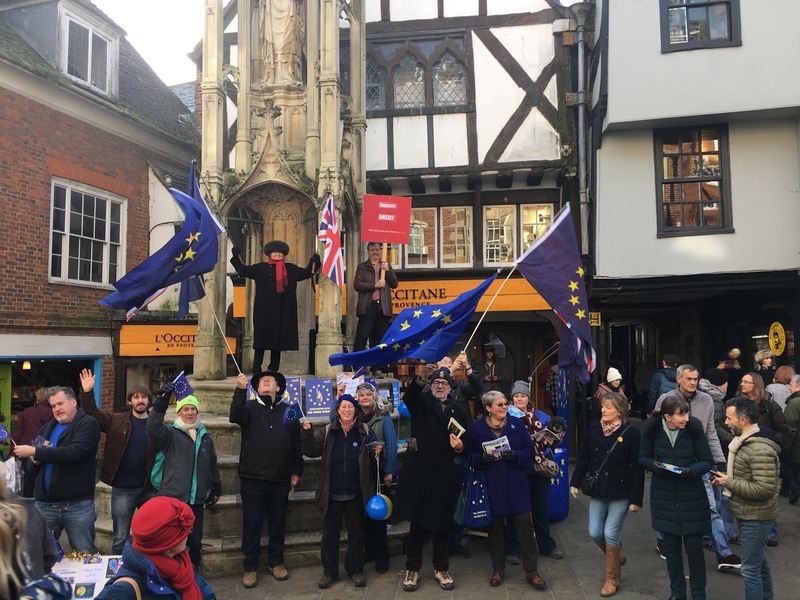 Today's event at the Buttercross was a true coming together of pro-Europeans from many different groups, including the European Movement, Winchester Lib Dems, Winchester Labour, Romsey Better in Europe, The 48% - Winchester, and of course Win-IN. 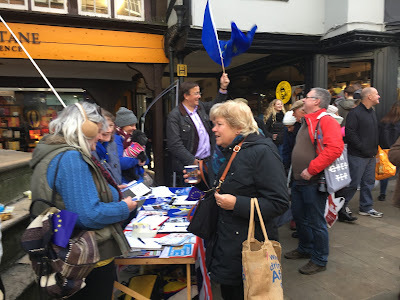 Thank you so much to everybody who came along today and helped either by handing out leaflets, flags, stickers and badges, and/or talking to people, it was fantastic! In one of our activist's words: "Some 40 volunteers turned up"! 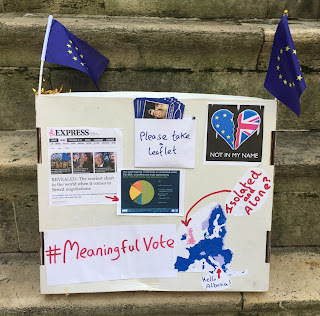 And of course also a heartfelt thank you to the many, many concerned people who stopped and chatted with us and gave us their signatures and contact details. In a little over two hours we collected 229 signatures for a petition going along with the Best for Britain #lucky7 campaign to be delivered to Steve Brine. Even if you missed us today, you can still help! Please simply email Steve Brine (or your MP if you live in a different constituency) via the Best for Britain website, it only takes a few minutes to join in with the #lucky7 campaign. The email will be urging your MP to vote for Amendment 7 in parliament which will ensure a meaningful vote on the final deal on leaving the EU - including an option to remain if the outcome is not good for the UK! Please don't forget to sign up to our mailing list! See the Contact tab for details!